My site has been on Discovery News for quite some time now, and the best aspect about this is that, Ancient Digger sits next to some pretty fine company. 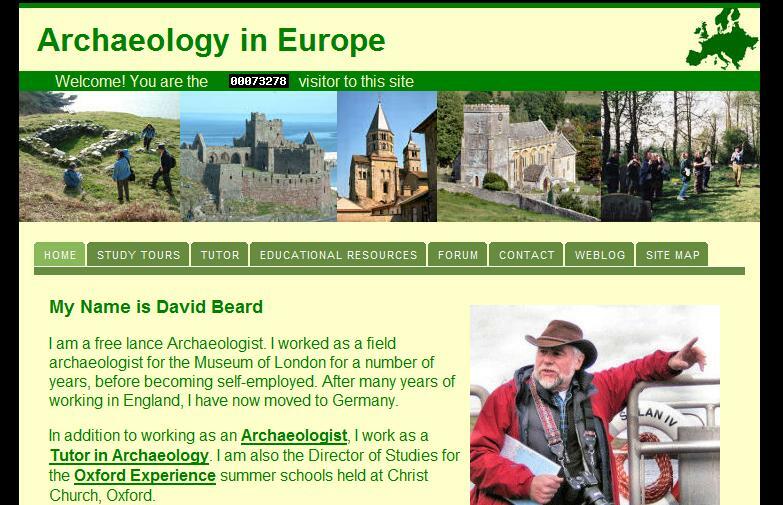 One of the sites that has really drawn me in is Archaeology in Europe, hosted and written by David Beard. David has to be one of the most fascinating archaeologists, especially when it comes to the latest news and tours going on in Europe. He works as a freelance archaeologist, and at one point, was a field archaeologist for the Museum of London. In addition to working as an Archaeologist, I work as a Tutor in Archaeology. I am also the Director of Studies for the Oxford Experience summer schools held at Christ Church, Oxford. I have had considerable experience as an archaeological guide and tour leader and I run regular Archaeological Study Tours and Field Trips in Britain, France and Germany. I run the Archaeology in Europe Weblog, which provides up to date archaeological news from all over Europe, and several specialist archaeological Weblogs. One of the most fascinating tours, as least I think, that's coming up on June 10th is the Knight Templar tour. David will be visiting Temple Manor, St. John’s Commandery, Knights Templar Church and Horne’s Place Chapel. I can't tell you have green with envy I am right now. If you haven't had the chance to visit Archaeology in Europe, I urge you to head over there now. The information is endless and the caliber of content is superb. It looks like a good website. I will check it out immediately. I went to have a look at the site. All those wonderful tours! I would dearly love to go on one, but they are so very expensive. I need to start saving soon because they almost all interest me. It's a great site. I would love to meet David personally. He sounds fascinating. I'm definitely not in the position to go one yet, however maybe in the future.